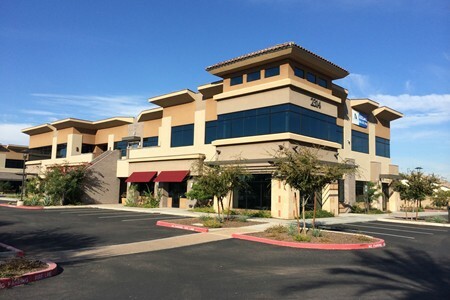 The Forum at Gilbert Ranch is a five building, 92,440 square foot Class A office portfolio, on the corner of Val Vista Drive and Williams Field Road in Gilbert, Arizona. The project is comprised of four two-story buildings and a single story building. The parking ratio is 4.5:1,000 with a mixture of covered canopy parking stalls and a one-story underground parking garage with direct elevator access to two of the buildings. The office buildings are part of a ten building park named Gilbert Ranch which was developed in 2007; the five remaining buildings are all retail restaurants and shops. EverWest acquired the property in March 2015.